Public officials and business owners are not the only ones who should adhere to the US flag code. The rules in this part of the law were written for every American, and they should be followed out of respect for the United States flag. A USA flag store, such as FlagPro.com, can help you find the right flag-flying hardware and accessories to be sure your flag goes up and down the flagpole with ease. Once you have tested it, you’re ready for the big day. On Memorial Day, the American flag should be flown at half-staff from the time the sun comes up until noon. 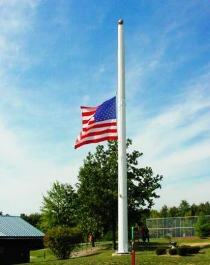 In order to fly a flag at half-staff properly, it must be quickly raised to the top of the flag pole and then brought down to the halfway mark on the flag pole. The symbolism behind this is to imply that the country is missing something or someone. Many historians have interpreted this space as the invisible “flag of death”. When raising and lowering a half-staff flag, one must raise it to the top first, which indicates the nation’s ability to overcome adversity and persevere through times of trial and great loss. Looking for a USA Flag store for your Memorial Day celebration? 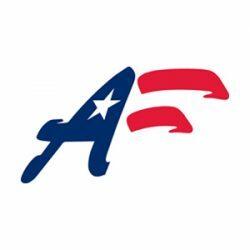 Check out the excellent selection of American flags at FlagPro.com. Previous PostPrevious International Flag Store Welcomes Vexillologists!